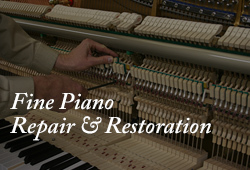 I am very satisfied with the piano and all the services I have received from Classic Pianos. If you are looking for a piano, you won't go wrong to start checking their inventory. Fred was very helpful. He understood my price range and did not even show me pianos above my range which I liked. We were able to settle on our transaction within a day and they delievered promptly too. We were looking to buy our first ever piano and I am glad we found this store. The staff was knowledgeable and helpful. We are extremely happy with the experience as well as with the purchase. Our experience with Classic Pianos was impeccable. We purchased three pianos for my piano studio. Each one is exactly what I wanted and quality - top notch. We loved our experience in the store; very friendly staff and we were able to choose and purchase our piano in just about an hour! The financing options were very helpful for us and our budget. Other places shooed me away quickly. Ben, on the other hand, was patient and showed me around. He was genuinely interested in figuring out my play style and preference. 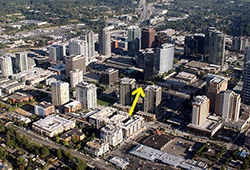 “Classic Pianos in Bellevue is unsurpassed in quality and customer service. From the first time I stepped in the store, I was amazed at the selection of excellent instruments, as well as the condition that every piano was in. The voicing and regulation done by John Slavick is unsurpassed; he really takes the effort to bring out the individual beauty and character of the pianos. The staff is always helpful and knowledgeable and do everything they can to ensure a comfortable environment during your selection process. As a teacher and a concert pianist, I refer all my students to Classic Pianos when they are looking to purchase a higher-quality instrument. 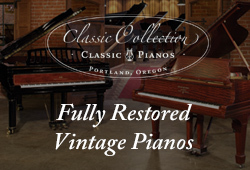 I can be sure that they are getting the best pianos available in the Pacific Northwest.” Krystle M.
“We bought a Yamaha Piano in Classic Pianos Bellevue for our little daughters. We do not have any piano skill and experience, so we were nervous when we got in store. But the staff was very professional, friendly, helpful, and knowledgeable. Our sales representative Haidi Yang showed us options in all price ranges, and did not talk disparagingly about the cheaper options. Then she kindly left us alone, while we wandered the place, trying out various pianos. After a couple hours, we found a right one we can afford . The price was exactly what we expected. We got a good price when we have a negotiation. Piano delivered very quickly with great experiences services. We also have free coupons for turning. 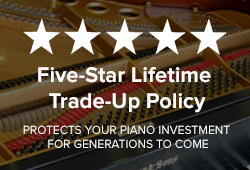 Classic Pianos has a trade-in policy. If we wish to up- grade, we can sell the piano back to them at full price or trade the new model that we like. We highly and definitely recommend checking out Classic Pianos Bellevue.” Vang D.
“We bought a fantastic piano from Classic Pianos recently. Appreciated their friendliness and professional advice. John, Haidi and Frank were all very helpful in suggesting which one is best for our needs. I learned all the pros and cons about different brands and models although it was a time consuming task. They truly helped me and it was worth the time. Impressive back room to find the one we want. It's like a dream came true, a best friend in my house.” Linda M.
“My visit to the store was very impressive. The store had a large inventory and I was able to find the piano I was hoping to buy. The customer service I received was superior and I was very glad that I was able to ask some more specific questions about tuning and quality and get answers from a employee who is also a tuner. The employees KNOW what they're talking about. This store really prides itself on selling a quality product and making the piano buying experience easy for everyone who walks in the door. Please visit Classic Pianos if you want to make a great investment in a quality product!” Martin O. “We heard of Classic Piano from some friends and bought our Yamaha P22 last Christmas. The Customer Service was excellent and It was a very fast Delivery. Now My daughter loves her beautiful piano and she spends a lot of time practicing with it. So far we are very happy to this piano and would love to recommend it to others.” Maggie L.
“I have bought a Yamaha CLP 430 at this store and I was highly satisfied with my experience. The staff, especially Heidi, who helped us, was very friendly and helpful. We took our time to choose the right instrument for my daughter and played almost all the pianos in the store. When I need to upgrade, then I definitely come back to this store.” Barnabas B.